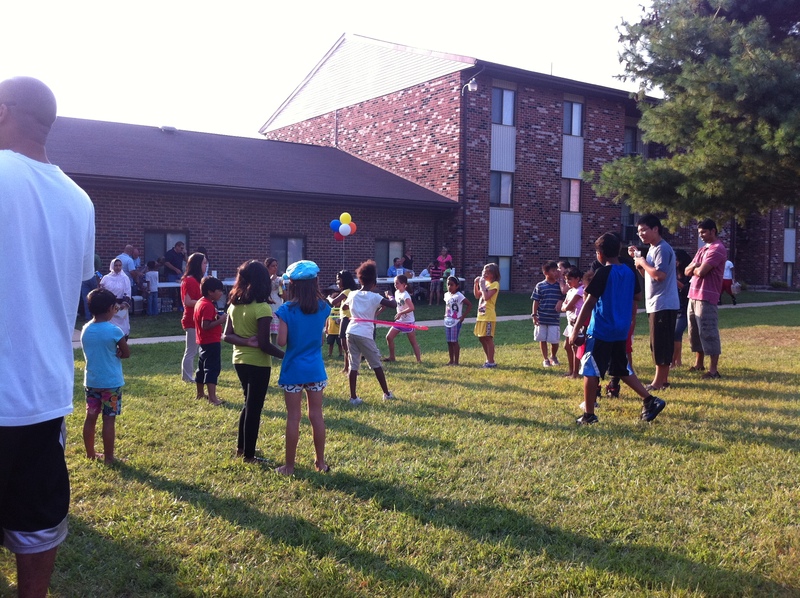 A good time was had by all yesterday at the 3rd Annual Resident Appreciation Social at Chatham Gardens Apartments. The staff showed their appreciation for their residents by serving pizza and sodas, face painting and games for the kids and raffling off prizes for the adults. 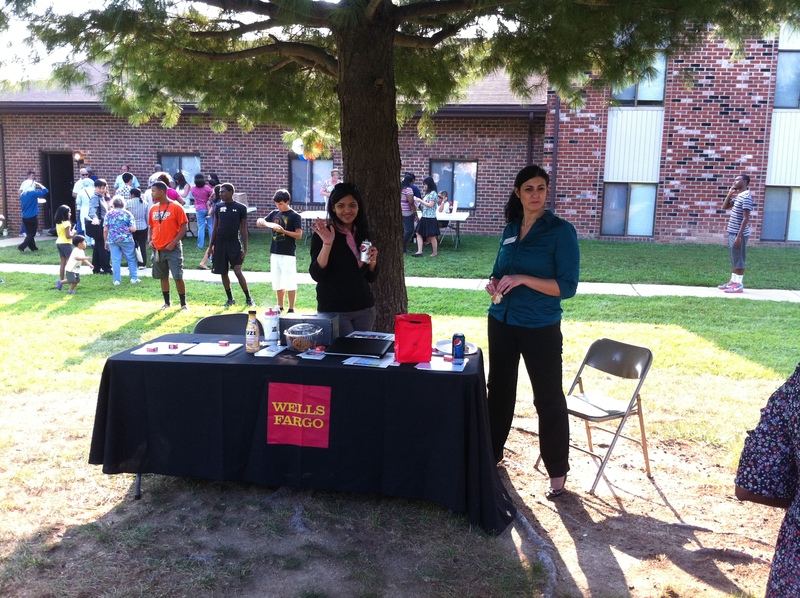 They were joined by local businesses including Wells Fargo, Xfinity, Verizon Fios and Verizon Concierge. 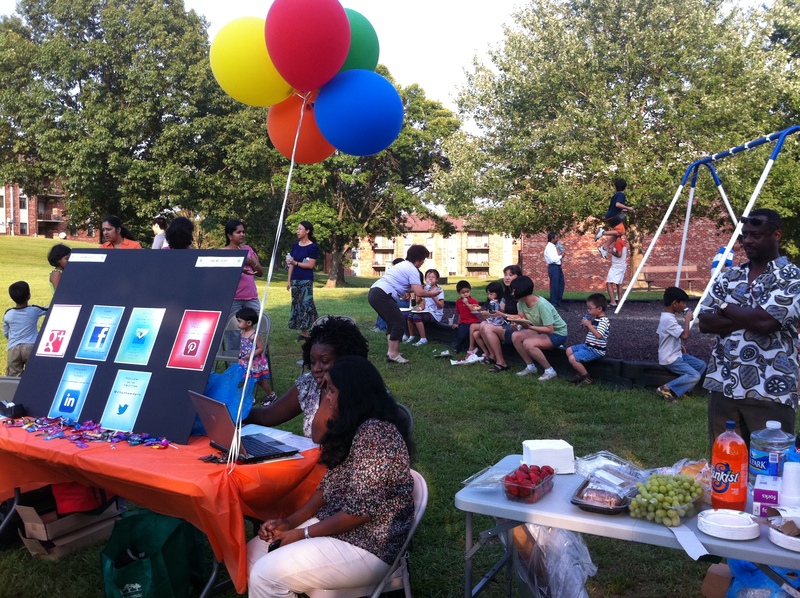 The Verizon Fios table was probably the most popular of the evening serving Rita’s Italian Ices and fresh fruit while playing football with the kids. 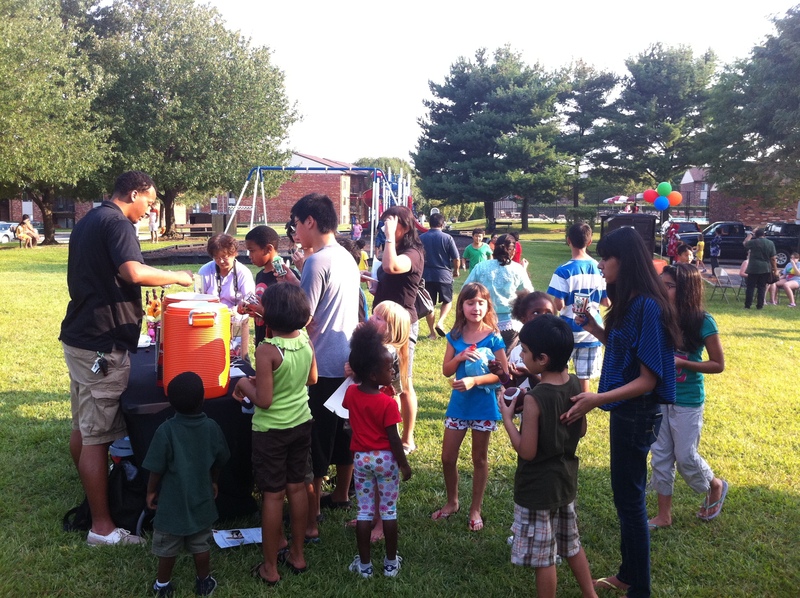 The very popular Verizon Fios table – everyone loves Rita’s! 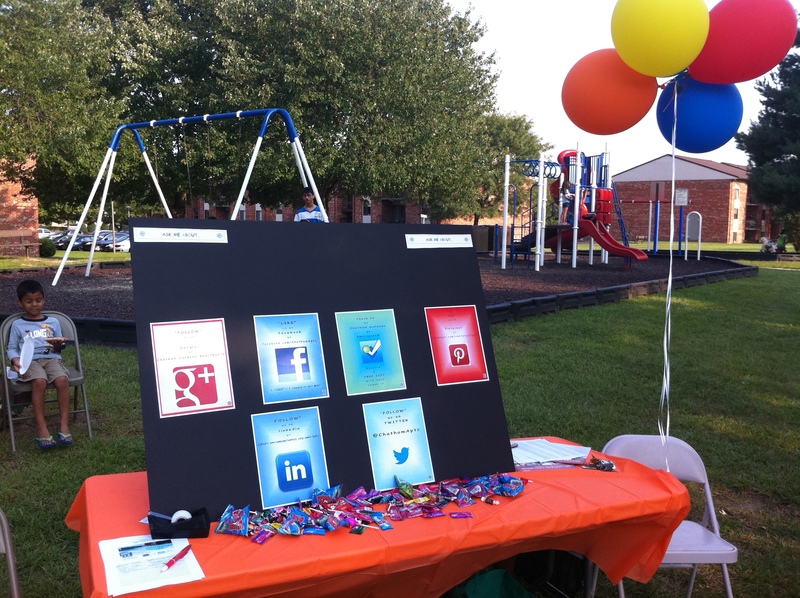 There was also a table showcasing all of the social media sites that Chatham Gardens Apartments are on, including Facebook, Twitter, Google+, Foursquare, LinkedIn and Pinterest. If you ‘like’ our facebook page at https://www.facebook.com/ChathamApts, you could win $50. – one ‘like’ equals one chance to win $50. If you check in with us on foursquare at https://foursquare.com/v/chatham-gardens-apartments/4fb68f9ca17c7f02fb7e1b0e, you get a free gift. Just show your check in to the leasing office when you visit and receive your free gift, while supplies last. 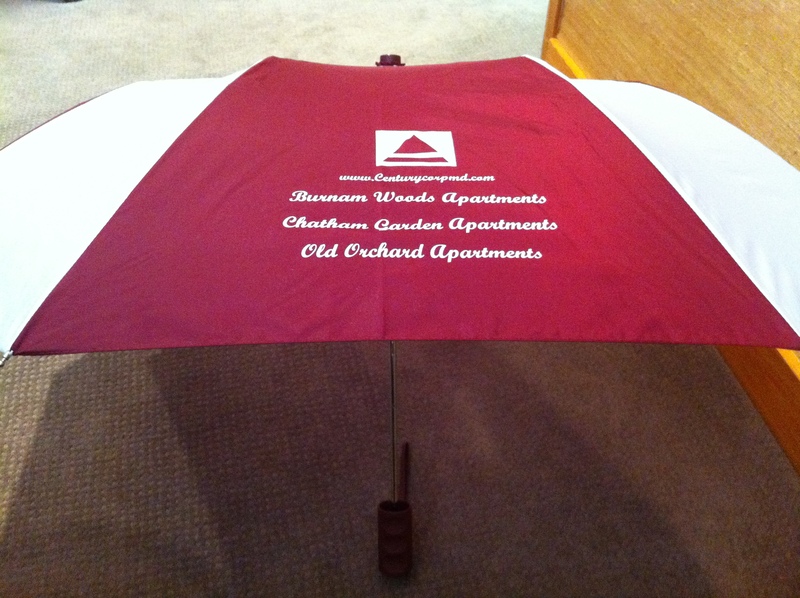 These Facebook and Foursquare specials will soon be available on our Old Orchard and Burnam Wood Apartments’ sites. Also, look for Resident Appreciation Socials in the coming months at Old Orchard and Burnam Woods Apartments. This week’s ‘Maintenance Monday’ isn’t really a tip, but more of an announcement. We have completed the paving and roofing at Burnam Woods Apartments, but we are currently installing a new sign at the front of the community. In the coming weeks, we will be paving and roofing at Chatham Gardens and Old Orchard apartments. While paving, we ask the residents to please move their cars off of the lot prior to the start time that we will be post later. The cars that are not moved will be relocated to another area on the property via tow truck, and those residents will be charged for the tow fee. While roofing, we ask that residents to also move their cars because we need access to the buildings with the crane to get on top of the buildings. Thank you very much for your cooperation. Next weekend is Labor Day weekend, the unofficial end of Summer. But this weekend is the last weekend before schools start in Baltimore and Howard Counties – and there are a lot of great activities going on. We have picked five great events going on in our communities this weekend. In the wake of the tragedy of the train derailment in Ellicott City, residents are coming together to support the businesses on Main Street in an event called Main Street Appreciation Weekend. 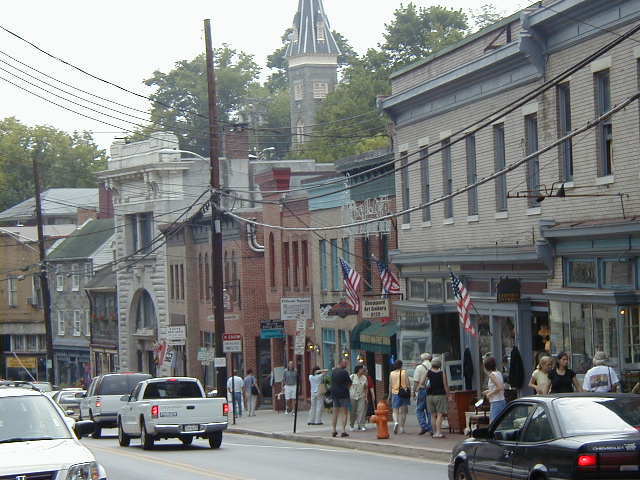 They are asking everyone to come to Main Street in Historic Ellicott City this weekend to shop, eat and drink. The Party on the Plaza Concert Series continues this weekend at The Avenue at White Marsh. Junkyard Saints play tonight and S.T.O.R.M Reggae Band play Saturday. Music starts at 7pm and the beer garden opens at 6:30pm. Frederick Road Fridays continues tonight in Catonsville on Egges Lane with Jay Cleaver & the Love Leaders. Music starts at 6:30pm, and there is a beer garden at Jennings. The Maryland State Fair starts today in Timonium and runs through September 3rd. There is great food, fun rides, crafts and lots of animals – fun for the whole family! This weekend the Orioles are back in town, and today is Cal Ripken Jr’s 52nd birthday. If you can’t make it tonight, the Orioles are also playing the Blue Jays Saturday night and Sunday afternoon. Get to the Yard and support our team who is going to the playoffs for the first time in over 10 years! Go O’s! 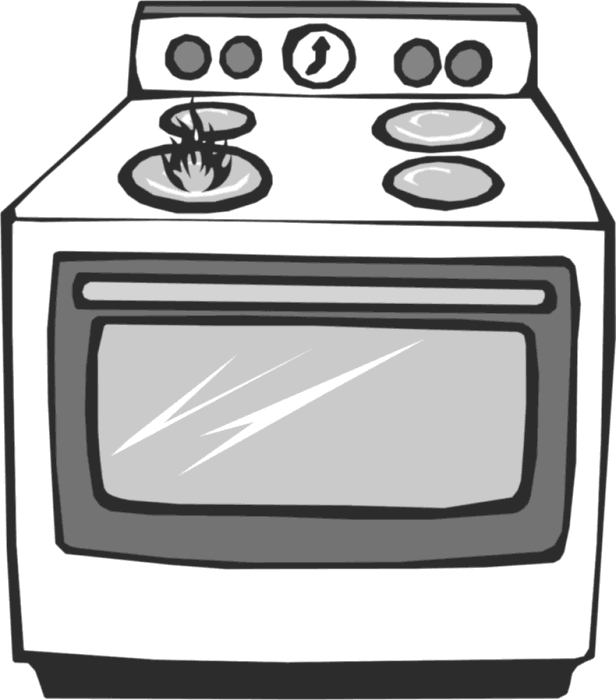 This week’s ‘Maintenance Monday’ tip is about how to properly use and clean your oven. When using your oven, do not wrap the range burner drip pans in aluminium. The aluminium can short out the terminals and conduct through the range, which can cause an electrical shock to you. Also, the aluminium can cause a fire. When using the self clean mode on your oven, remove the wire racks from the oven prior to setting the clean mode. If wire racks are left in the oven during the self clean mode, they will turn black and will no longer slide in and out easily. It is best to clean the wire racks regularly with hot, soapy water and an oven cleaner agent such as Easy Off. It has been a great summer, but now it is time to go back to school. 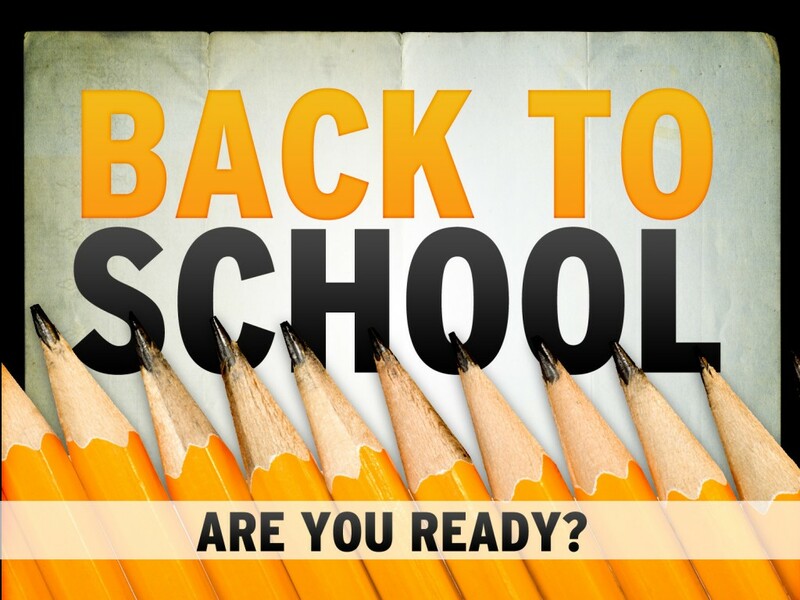 Students who live at Burnam Woods, Chatham Gardens, and Old Orchards apartments will start school Monday August 27th, as both Howard County and Baltimore County public schools start on the same day. If you need back-to-school clothes, get to the stores by Saturday because Maryland’s Tax Free Week ends August 18th. Select clothing and shoes under $100 are exempt from Maryland state tax, so you will save 6% on each item. Please click here for the complete list of exempt and taxable items. If you would like to donate school supplies, we will have a box in each of our leasing offices. We will deliver your donated school supplies to the appropriate schools. And starting August 27th, please remember to watch out for stopped school buses and children crossing the street. Have a safe and happy school year! Maintenance Monday – Clean Green! It is not always necessary to use abrasive chemicals for every day cleaning in apartments. With proper use, some eco-friendly sources can get the job done just as well. Here are some inexpensive and natural ways to clean common surfaces in apartments. The key is using the right solutions for every cleaning need. Vinegar Solutions: It is the safest, most readily available, cheapest and closest to an all purpose cleanser that you can come by. Mix half and half of vinegar and water in a spray bottle to clean shiny surfaces. Think of this as your own natural windex spray, sans ammonia. You can also use the half and half solution for tile or linoleum floors. For a good grease cutter (read: kitchen counter tops) cut the vingar solution to 1/3 of the bottle, fill the rest with water, and mix in a capful of castille soap to boost your cleaning power. An important note: Do not use vinegar on marble, granite, or any other kind of stone. Use manufacturers cleaners and consult other sources for natural ways to clean these materials. Baking Soda Solutions: This is another must have for apartments. Baking soda acts like a natural scouring powder, akin to Commet (again, without the ammonia). Sprinkle baking soda on toilets, tubs, tile, and even tough to clean pots and pans. Splash a little water on the powder dusted area, let it dissolve for a few minutes, and use a clean rag to scrub the surface. You can make a concentrated solution for even more stubborn dirty surfaces. Mix baking soda with a bit of castille soap to form a thick paste and use to combat soap rings or dingy grout. 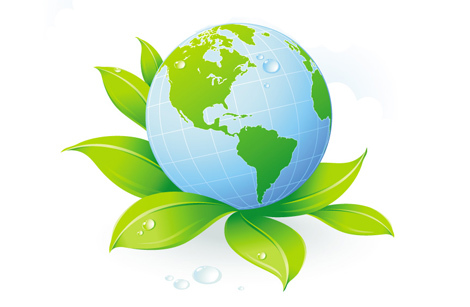 For other surfaces and different types of odd cleaning jobs, you may want to consult an eco-friendly cleaning guide. We are so grateful for our loyal residents at Burnam Woods, Chatham Gardens, and Old Orchard apartments! We like to acknowledge our residents in different ways throughout the year. For instance, we are starting a Birthday and Anniversary Club. At the beginning of every month, we will be posting the birthdays and rental anniversaries of our residents on each community’s Facebook page. So please let us know when your special day is! 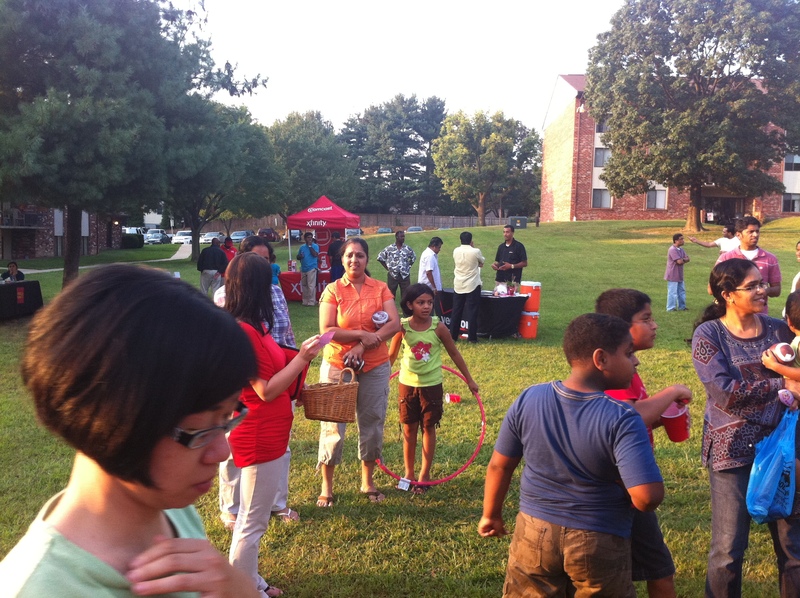 In addition, we host resident events at each community at different times during the year. Our next event is Resident Appreciation Day at Chatham Gardens Apartments on August 30th, which will include raffles, free food, and vendors. To further show our appreciation for our residents, we give away free gifts just for renewing your lease or moving into one of our communities. This week’s ‘Maintenance Monday’ tip is a reminder on how to ensure proper air flow back to your air conditioner / furnace unit. Make sure that the return air vents are not blocked. The return air vents are located on the ceiling in the back hallway toward the bedrooms and/or on the living room wall closer to the floor near the patio doors. Also to help keep dust down, try to keep the vents clean from time to time by using the brush nozzel of your vacuum. Forbes ranked Baltimore 14th among coolest cities to live in – and Burnam Woods, Chatham Gardens, and Old Orchard apartments are within 20 miles of Baltimore City! Baltimore native Michael Phelps winning his 19th Olympic medal to become the world’s most decorated Olympian in history definitely adds to Baltimore’s cool factor. Michael Phelps makes Baltimore proud!